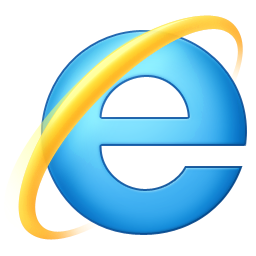 Internet Explorer 10 To Launch With Windows 8? Rumors are spreading rapidly now a days about Microsoft Windows 8 operating system. Internet Explorer 9 has already launched by Microsoft, infact it’s not even a month of its release and now, Internet Explorer 10 rumors are already starting to surface. The latest, and possibly first, IE10 rumor says that it will ship with Windows 8. This information has been leaked by Chinese website Win7China, who is claiming that they have a solid source of information that this rumor holds a bit of weight. They also state that IE10 is already in Windows 8 M3, but we have yet to confirm that information. The idea of including IE10 with Windows 8 seems logical. Considering that IE9 just launched, if the rumored Windows 8 launch days are correct, the browser would be well over a year old when Windows 8 finally ships to the consumer. Other than this little bit of information, not much else is known about IE10.